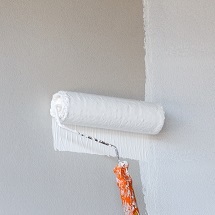 Most people can figure out how to paint a single wall, albeit with a little mess. But painting a whole house is different. Efficiently painting an entire home requires extensive knowledge of different kinds of siding, advanced equipment, paints and tools, as well as good technique. Don’t risk doing it on your own. All The Walls does whole house painting in Vancouver, WA, so you can sit back and let us do what we do best. Some home painting companies reserve their services for the warm, temperate time of year. And in Vancouver, that doesn’t last long. Instead of working around the climate, we work with it, painting whenever it’s possible to do so. So don’t give up if it’s fall and you can’t stand that lime green color from the previous owner any longer. We’re here whenever you need us, at all times of the year. We don’t play loud music or use obnoxious language and will never smoke around you, your family, or your home. You can choose the color or let us choose if you’d like, to give you that perfect look you’ve been searching for. We’ll answer any questions you have and let you have the final say in everything we do to your property. Owner Jean Santee has worked with paint for over 25 years. She is certified in both interior and exterior painting and regularly gives speeches on color trends, networking, and more. Other painters will come to her for advice, so why not go straight to the source? Call or contact us today for the best home painting in Vancouver!